The TQ II Tourniquet Pouch GRIDLOK by Beez Combat Systems can comfortably hold both the CAT style or RATS style tourniquet. These two style tourniquets are most commonly used among military units, law enforcement personnel, contractors, corporate security, border patrol and responsible citizens making them the highest tourniquet styles in demand. 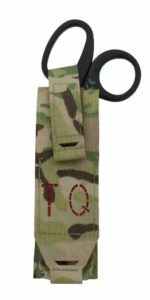 Therefore a GRIDLOK pouch designed around these two style tourniquets make the TQ II GRIDLOK pouch a piece of military equipment that everyone should own. 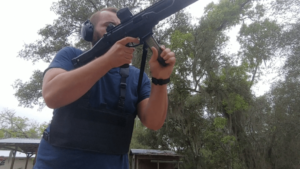 The design allows for rapid and easy deployment of a tourniquet from any mounted position on a chest rig or plate carrier regardless if the operator is right or left handed. The newest addition to the Beez Combat Systems TQ II Tourniquet GRIDLOK pouch is the slot and Velcro strap that allow trauma shears to be carried alongside the tourniquet. The trauma shears are simply placed nose down into the slot located directly behind the strap securing the tourniquet. 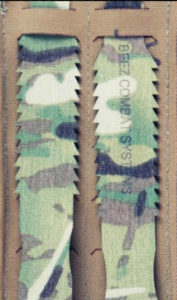 The second Velcro strap than simply slides through either handle of the trauma shears and is secured to the front of the pouch locking the trauma shears into place. This allows for easy access regardless if the operator is left or right handed. 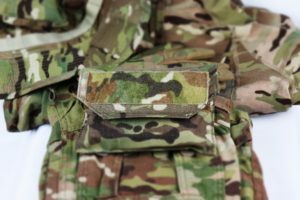 This innovative design also provides the operator with additional medical instruments in a low profile design ensuring the operator can cut through clothing in order to provide first aid. Another innovative design of the TQ II GRIDLOK pouch by Beez Combat Systems is the signature management tab located directly on the front of the TQ II pouch. 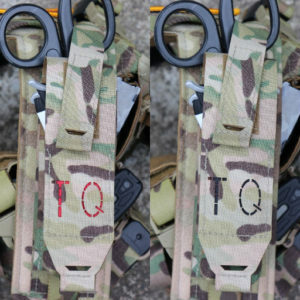 The letters ‘TQ’ are laser cut on the front of the pouch allowing for easy identification in an emergency situation however, the TQ II pouch is fitted with a reversible “red” to “black” signature allowing color coordination with other medical supplies or a sleeker more low profile signature for individual operators who work primarily in covert operations. 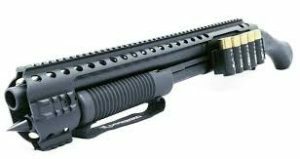 In today’s world a tourniquet is already necessary and typically a requirement for service personnel of the armed branches as well as for law enforcement however, it is also necessary and usually recommended for even responsible citizens to carry a tourniquet alongside their firearm. For this a color variety is available in muilticam, coyote, black and ranger green. 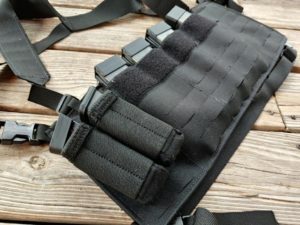 For responsible citizens the GRIDLOK strap allows the TQ II pouch to be fastened to much more than just tactical equipment such as plate carriers or chest rigs. The GRIDLOK attachment technology allows for the attachment to any MOLLE compatible gear. With the addition of trauma shears and signature management this is a Beez Combat Systems product everyone should own. 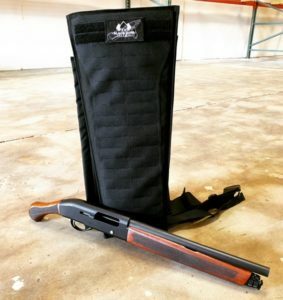 Black Aces Tactical makes standard and custom Mosseberg Shockwave Shotguns. They have multiple accessories and can customize the Shockwave. If you are looking for the best way to carry your Black Aces Shockwave check out the Beez Combat Systems Short Barrel Scabbard GRID. The Beez Combat Systems Baofeng Radio Pouch GRIDLOK is 100 percent laser cut GRID and includes Beez Combat Systems GRIDLOK attachment technology for load bearing to various tactical gear. The Baofeng Radio Pouch also includes an elastic bungee which simultaneously secures the radio into place and provides access to the radio without having to be removed from the pouch. The Baofeng Radio Pouch by Beez Combat Systems was specifically designed around the Baofeng style HAM radios models and their extended battery options. This design ensures the operator access to the button window while the Baofeng Radio is mounted to their person and zero obstruction to the port access so throat mics, shoulder mics and ear pieces are easily attached. 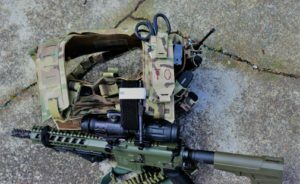 The radio pouch mounts vertically on one channel of GRIDLOK attachment technology and is available in colors multicam, coyote, black and ranger green. The Beez Combat Systems Baofeng Radio Pouch is manufactured in the United States and is Berry Compliant. When properly mounted to either a chest rig, belt or plate carrier the Beez Combat Systems Baofeng Radio Pouch GRIDLOK provides ease of access to the Baofeng radio allowing the operator to facilitate the radio with one hand. This is made possible as the bungee retention keeps the Baofeng radio within a 75 degree angle which in turn is easily secured once the Velcro retention is placed back. This ease of access to the Beez Combat Systems Baofeng Radio Pouch allows the operator to keep his or her weapon secured in either a training or a real-world scenario. 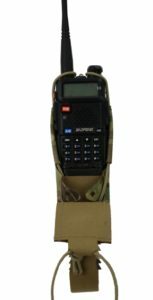 With the extended battery these Baofeng HAM Radio models are compatible and fit snug into the Beez Combat Systems Baofeng Radio Pouch GRIDLOK. The Beez Combat Systems AK47 3 Mag Shingle GRID is one of the lowest profile magazine shingles on the market creating an almost zero visibility appearance. Compared to traditional magazine shingles the AK47 3 Mag Shingle GRID is laser cut which reduces the overall weight while providing even more load bearing strength. The front of the 3 mag shingle GRID includes additional molle webbing compatible for user configuration. 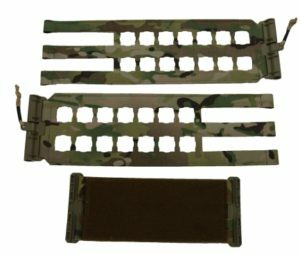 For example, this magazine shingle allows you to attach items such as admin pouches and even additional pistol magazine pouches to the front. The AK47 3 Mag Shingle GRID by Beez Combat Systems comes with 3 elastic pull tabs securing each AK magazine into place and allowing for ease of access with no obstruction during reach. 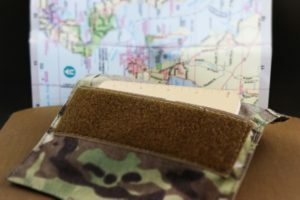 The magazine shingle also includes a Velcro insertion for items such as maps and other imperative mission information. The Velcro enclosure contains a two inch Velcro tab that secures all items into place. The Velcro enclosure is the length of the entire magazine shingle allowing the operator to store a variety of different important mission items close by. 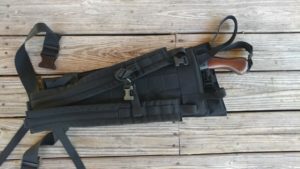 Beez Combat Systems has also provided GRIDLOK load bearing straps with the AK47 3 Mag Shingle GRID so that the operator may utilize his or her tactical gear equipment without having to rely on any other tactical manufacturer. 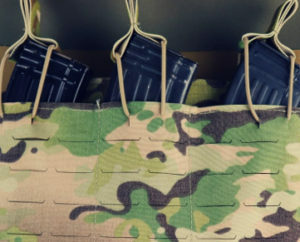 GRIDLOK straps secure the AK47 3 Mag Shingle GRID into place locking it so that the operator has confidence that their primary firearms’ additional magazines are within close reach and will not loosen. The AK47 3 Mag Shingle GRID by Beez Combat Systems is available in four different colors. 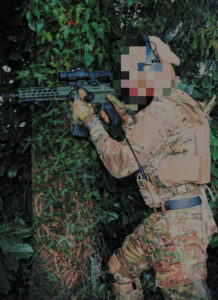 Multicam, coyote, black and ranger green. The materials and construction are made from 1000 denier Cordura and GRID and meet MIL-Spec thread and Velcro requirements. The AK47 3 Mag Shingle GRID is also Berry Compliant and made 100 percent in the United States. 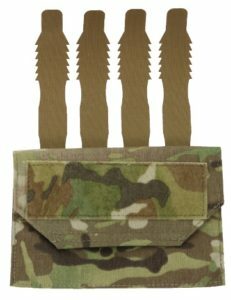 The Beez Combat Systems Admin Pouch GRIDLOK is sized at 7 inches wide by 4.5 inches in height and can fit a variety of items from maps, notepads to even weatherproof writing utensils and other important mission information. The Admin Pouch GRIDLOK is 100 percent laser cut and features GRIDLOK technology which is molle compatible. 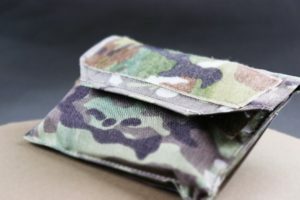 The Admin Pouch GRIDLOK is Berry compliant and is made in the U.S.A. A two inch Velcro tab can be found on the outside which is perfect for mounting a Name patch, ID patch or even a blood type patch. This pouch is made from 500 denier Cordura and is MIL-Spec thread and Velcro. It is important for every operator to run an Admin Pouch as it is a vital piece of equipment that holds imperative mission intelligence. 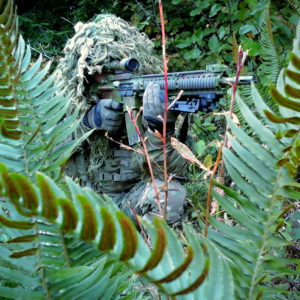 For scout snipers an admin pouch is useful for keeping high value target identification within close reach in order to complete the mission at hand. The same can be said for law enforcement personnel working in hostage negotiations units as well as SWAT operators for arrest and apprehension objectives. Responsible citizens will find the Beez Combat Systems Admin Pouch GRIDLOK especially useful for working with first respondents and HAM radio operations. 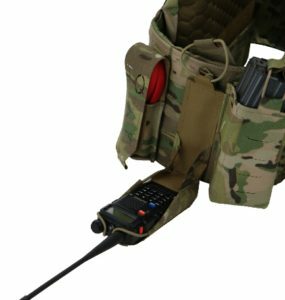 If working with communications the admin pouch is capable of keeping frequency information and channel intelligence within close reach either mounted onto a plate carrier or chest rig. 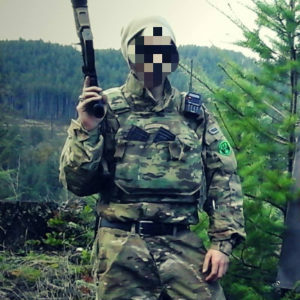 Most importantly however, the Beez Combat Systems Admin Pouch GRIDLOK is great for keeping maps, including weather proof seals for maps, unobstructed in case travel is necessary during such scenarios as fighting forest fires, looking for missing persons or navigating during training events. The Beez Combat Systems Admin Pouch GRIDLOK is available in a variety of colors from multicam, coyote, black and even ranger green. If your load out already consists of multicam than a Beez Combat Systems Admin Pouch GRIDLOK in multicam will suit perfectly with enlisted issued BDU’s and other multicam equipment. 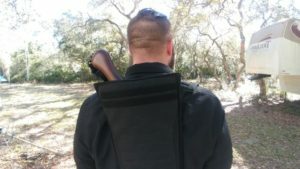 If already running Beez Combat Systems GRID equipment than the Admin Pouch GRIDLOK will mount perfectly to the Beez Combat Systems AK7 3 Magazine Shingle GRIDLOK as well as any Beez Combat Systems chest rig or plate carrier. especially new equipment available in GRID. In today’s purpose built industry of tactical gear split front chest rigs provide several benefits for enlisted personnel, law enforcement and responsible citizens working in a wide variety of professions. The Beez Combat Systems AR Chest Rig Split Front 6 Mag GRID is the lowest profile chest rig on the market with a laser cut design reducing overall weight while simultaneously increasing load bearing strength and capabilities. Quiet professionals such as those working in areas of operation gathering battlefield information and other surveillance especially benefit from the Beez Combat Systems chest rig split front GRID. These quiet professionals require minimal movement while maintaining a low profile. 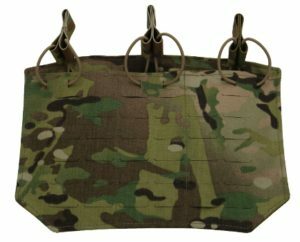 The AR chest rig split front GRID allows this by increasing the operator’s ability to go prone without obstructing his or her range of motion when reaching for important essentials needed for the mission at hand. 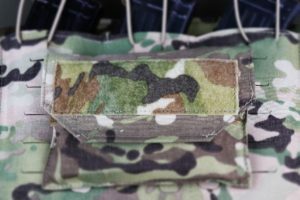 A Velcro insertion built within the chest rig split front GRID is accessible while lying prone allowing for important intelligence such as maps and other information pertaining to the objective to be at the ready. 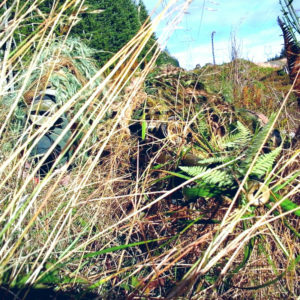 Law enforcement units such as hostage rescue, negotiations and SWAT typically have a sniper or over-watch team working on scene. These operators may endure hours on end in the prone position until the situation is resolved. If the proper load out is not used than this position can be tiresome which retrospectively may cost lives. The Beez Combat Systems AR chest rig split front 6 mag GRID allows operators working in these special tactics units the ability to withstand the time duration of crisis scenarios while maintaining comfort and taking advantage of the real estate and user configuration. The Beez Combat Systems AR Chest Rig Split Front 6 Mag GRID is equipped with adjustable shoulders and quick release waist buckles and is made from 1000 denier Cordura. 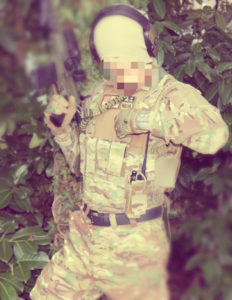 The split front chest rig is also MIL-Spec thread and Velcro and is manufactured in the United States. 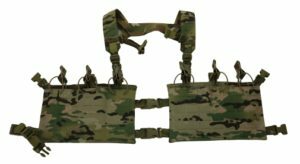 H-harnesses are also available which provide additional real estate for load bearing essentials such as GRIDLOK radio pouches for reconnaissance operations. 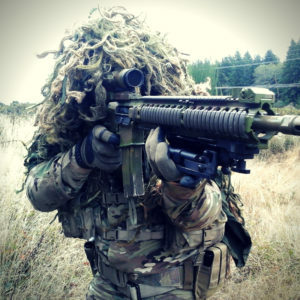 The H-harness includes a drag handle suitable for two man sniper teams or over-watch units.